The TOOLS and other families in the SYSPROC (sirproc.srp) contain various programs and subroutines that may be useful in your programming. This article lists some the members available in the SIR/XS sysproc file (though many of them are available in earlier versions) and shows how to use them. The member SYSPROC.TOOLS.ABOUT in the SIR/XS documents all the members in that family. In most cases the members are subroutine sources (:T) and executable (:O) pairs with the same family and base member name. 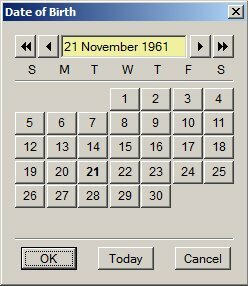 Many of these routines are used by the dialogs in the default main menu. Displays the text from a buffer as labels in an infobox style dialog. PUT LINE TO BUFFER "MESSAGE" NUMBERED 1 FROM " This is an example of using"
PUT LINE TO BUFFER "MESSAGE" NUMBERED 2 FROM "    SYSPROC.TOOLS.BUFDLG"
Copies a buffer from source to target, overwriting target if it exists or creating it if it does not. PUT LINE TO BUFFER "MESSAGE" NUMBERED 1 FROM "This is an example of using BUFFCOPY"
Displays a simple buffer editor in a dialog with title and a text box containing the buffer text. PUT LINE TO BUFFER "MESSAGE" NUMBERED 1 FROM "This is an example of using BUFFEDIT"
Finds a given line in a sorted buffer using a binary search - returning line number or zero if not found. PUT LINE TO BUFFER "MESSAGE" NUMBERED 1 FROM "apples"
PUT LINE TO BUFFER "MESSAGE" NUMBERED 2 FROM "bananas"
PUT LINE TO BUFFER "MESSAGE" NUMBERED 3 FROM "needles"
PUT LINE TO BUFFER "MESSAGE" NUMBERED 4 FROM "pawpaw"
Creates the buffer if it does not exist but preserve the buffer and contents if it does. If the buffer is created then the return code is 1. Returns the number of lines in a buffer using a binary search. WRITE "MESSAGE is " LINES " lines long"
Sorts a buffer into target with ord being "A" or "D". PUT LINE TO BUFFER "MESSAGE" NUMBERED 1 FROM "pawpaw"
PUT LINE TO BUFFER "MESSAGE" NUMBERED 4 FROM "apples"
Displays the text from a buffer in a dialog. This is called the same way as BUFDLG but the display is different and you can use some HTML tags in the buffer source. PUT LINE TO BUFFER "MESSAGE" NUMBERED 1 FROM "<center>An example of using<br>"
PUT LINE TO BUFFER "MESSAGE" NUMBERED 2 FROM "<b>SYSPROC.TOOLS.BUFRDLG</b></center>"
Sorts the items in a dialog list with control id ID. ORDER is 0 (invert), 1 (ascending) -1 (descending). The current selection is maintained. Sets an image (or button in SIR/XS) control to the given hex colour. Height and Width determine the height and width (in pixels) of the bitmap created to display in the image or button. 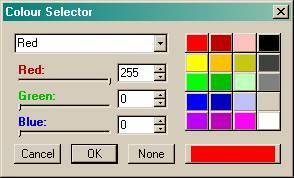 Displays a small dialog with various methods of selecting a colour. Hexin and Hexout are in the format "#FFFFFF" - a return value of "" indicates "No Colour" was selected. This only works in SIR/XS. This routine takes a filename and returns parts. If filename is a path it will return the parent directory for the path. Takes a long string and wraps it into a buffer so that no line is longer than the given width. The number of lines in the buffer is returned. 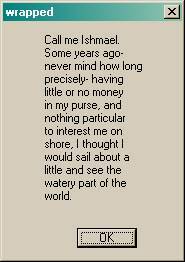 "Call me Ishmael. Some years ago- never  mind how long precisely- "
+ "having little or no money in my purse, and nothing particular "
+ "to interest me on shore, I thought I would sail about a little "
+ "and see the watery part of the world." This routine takes a SIR name and extension and returns a valid filename. Displays a dialog listing the ODBC data sources available and returns the data source name selected. Returns the record status for RECNUM: status is: -1 = the record does not exist; 0 = the record exists but has no data; 1 = record exists with data; 9 = the record is locked pending restructure. This routine returns a non-existent scratch file name based on MASK (or MASK.EXT). The filename will be MASKnnnnn.EXT and will include the temp directory path name if it is defined. EXT defaults to "tmp" and MASK defaults to "SIR". You can then open the file for write without overwriting an existing file. RC contains -1 if it cannot find a non-existent filename. Takes a string name and checks if it is a valid sir name. In SIR2002 this would check if the name started with an alphabetic character and contained only alphanumeric and special ($#_@) characters and was no longer than LEN characters. In any case would return a valid name with RC = 0 if it was unchanged. In SIR/XS the naming rules are more liberal. Names can have any characters but need to be enclosed in curly brackets if they are non-standard names. This is not the "SOUNDEX" algorithm. This might be used with a secondary index on the SOUND of words or names. When a user enters a new name then a list of similar sounding words/names could be displayed. COMPUTE NAME = "CHICKEN SOUP"
COMPUTE NAME = "COKEN SOAP"
Verifies the database and return numbers of non-correctable errors, correctable errors and warnings. If patch is 1 the verify first attempts the patch and then does another verify to confirm that it worked. This is a handy one to run at the start of a batch check and backup process. Starts the "internal" SIR editor on the named source. If type is 1 then the PQLFILE is a file; if type is 2 then it is a member; if type is 3 then PQLFILE is a buffer. So, as you see there are many potentially useful routines here. Please feel free to use them and any others not mentioned here. Copy the source code and modify it for your own needs if you wish. The PQL source code is included deliberately and is not subject to copyright. Note: if you modify the procedures in the sysproc file then you may lose them when a revision is released - or the revised procfile may not overwrite your procfile (if yours is newer) so you will not receive the updated procfile.